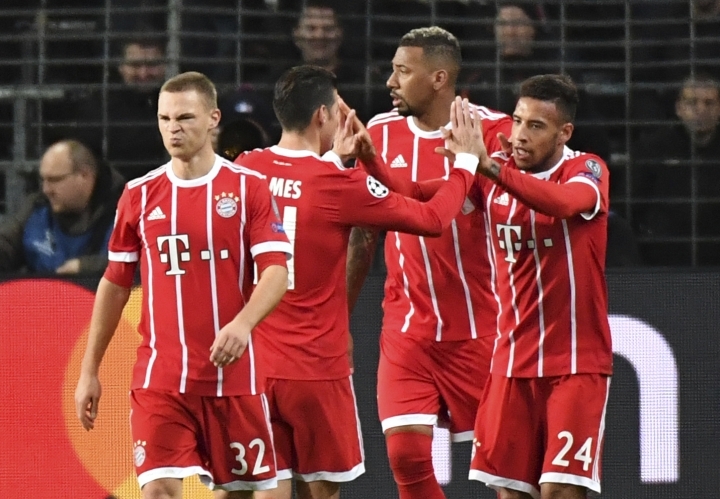 BRUSSELS — Corentin Tolisso set up one goal and scored another to give Bayern Munich a 2-1 win over Anderlecht on Wednesday in Group B of the Champions League. After a lethargic first half, Bayern — which had already advanced to the last 16 — went ahead in the 51st minute with a lightning attack that left Robert Lewandowski with a simple tap in after Tolisso's assist. 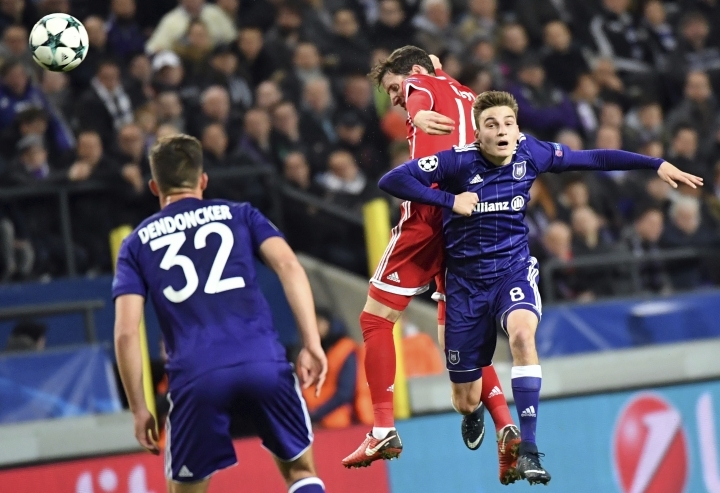 Anderlecht scored its first goal in the Champions League campaign when Sofiane Hanni latched onto a header from Lukasz Teodorczyk and slotted home from close range in the 63rd. Tolisso turned finisher in the 77th when he headed home a cross from the right. Still, it was a flattering win for Bayern, which was sleepwalking through much of the game against a mediocre opponent. "We cannot be happy with this," Bayern defender Jerome Boateng said. "It was our worst game in a long time." The result kept the German champion in second place, three points behind Paris Saint-Germain which beat Celtic 7-1 in the other group game. Bayern still has an outside chance to win the group if it can overturn a 3-0 defeat by PSG earlier in the campaign, when the two sides meet again in the final game on Dec 5. Bayern got some bad news just after halftime when Arjen Robben asked to be replaced following a rash tackle from Uros Spajic that left him clutching his thigh with an apparent muscle injury. Anderlecht came into the game without a single point or a goal. Even so, forward Teodorczyk had three clear chances in the first half hour. Bayern was more lethal in the second half.